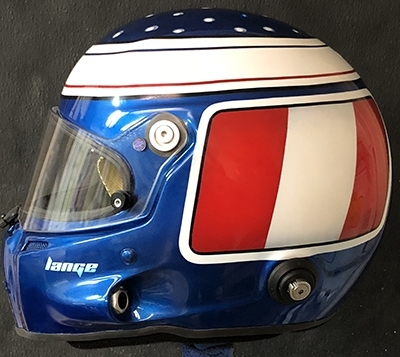 Stilo race helmet design 5-18 was a redo of an old helmet the customer had with a few subtle changes. He wanted to keep it simple like his old helmet. So I added more pinstriping and some fade into the red, white, red area to make it more interesting. One of his biggest complaints about his old helmet was the font used for his mane so we found the perfect font for his new helmet. 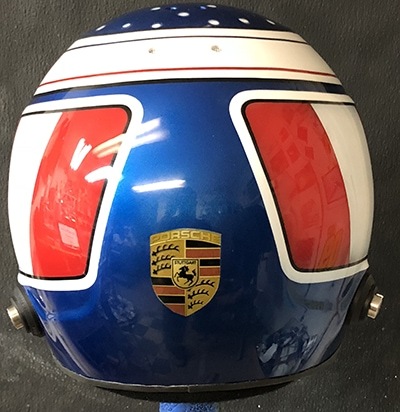 THree coats f Tamco high impact clear where used to provide the nice shine and help protect the helmet. 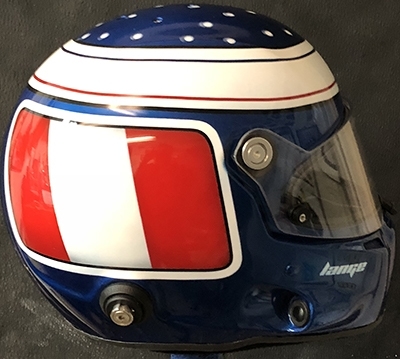 Contact me today to get started on your helmet.